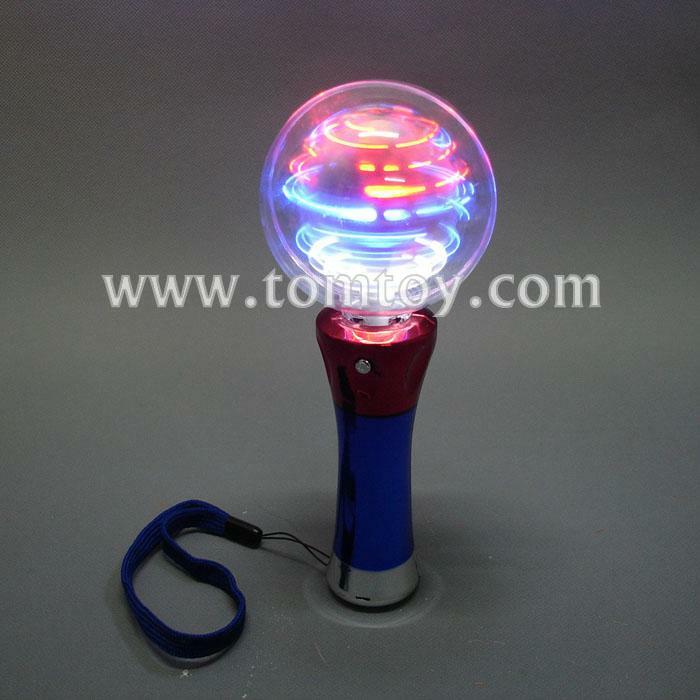 4.Designed with a beautiful crystal ball and features US flag in the middle that spins and gives an awesome light show. 5.Measures 7.5 x 3 inches. Batteries included and installed.